If there’s one thing that you can count on a physical therapist at Blue Ridge PT introducing into every session, it’s stretching. Yes, building strength and endurance is important. But whether you’re an athlete, or someone coping with the aches and pains of aging, increasing your flexibility through stretching is crucial. Read on to learn more about some of the top benefits of stretching. How far your joints can move in all directions influences virtually every moment of the day. Arthritis or injury can hamper how far, and where, you can flex and extend your limbs and torso. From twisting your neck to see behind you when driving, to being able to move your knee freely, a range of motion is crucial for both daily life and for fitness pursuits. Even if you’re fairly stiff now, doing more stretches each day will gradually reduce stiffness and increase flexibility. When your calves start feeling a bit tight after a run, it’s obvious that more stretching is needed. But we sometimes forget the sheer interconnectedness of our bodies. If you’re experiencing lower back pain, for example, stretching your legs during physical therapy can be as important as stretching your back. In fact, your hips, upper thighs, and your hamstrings can all play a big part in creating lower back pain relief. 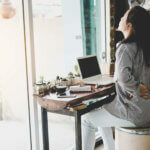 Likewise, improving your posture through stretching your torso can provide the kind of support you need to keep your spine from compressing, which helps you avoid shoulder and neck pain. Of course, there are plenty of other ways that stretching can improve your life. Many people enter a Zen-like state as they stretch. Others get a sense of pride from being more limber. When you’re ready to add stretches to your daily routine, consider getting started through physical therapy. Our team can walk you through the best ways to tackle your situation. Static or dynamic stretching? Pre- or post-activity stretching? A physical therapist can help you learn the basics. Contact Blue Ridge Physical Therapy today to learn more!